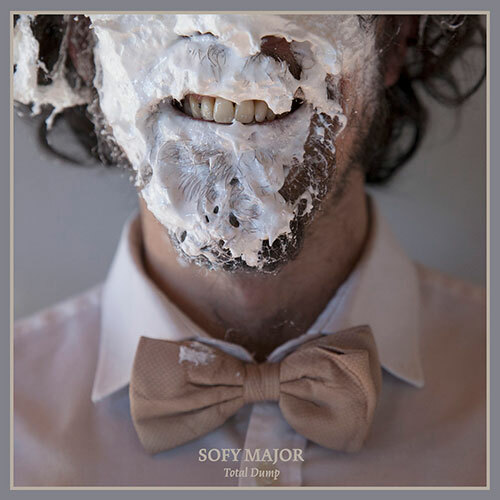 French noise rock trio Sofy Major unleash their long-awaited fourth full-length! Titled "Total Dump", the follow-up to 2015’s triumphant "Waste" LP was recorded and mixed by Dave Curran (Unsane, Big Business) at Black Box Studios, mastered by Carl Saff (Fu Manchu, Rosetta, KEN mode, Child Bite) at Saff Mastering and delivers eleven rocked out, Big-Muff-powered tracks of relentlessly raw, driving, melody. Fans of Unsane, Harvey Milk, The Jesus Lizard, Coliseum, and the like pay heed. Black or yellow/blue vinyl in full colour sleeve with insert and digital download coupon.